There are many year-round reasons to get a jet charter to Miami, from the food to the beaches to the parties to the nature. But do you know the busiest time when it comes to fleeing to the South? And for good reason! 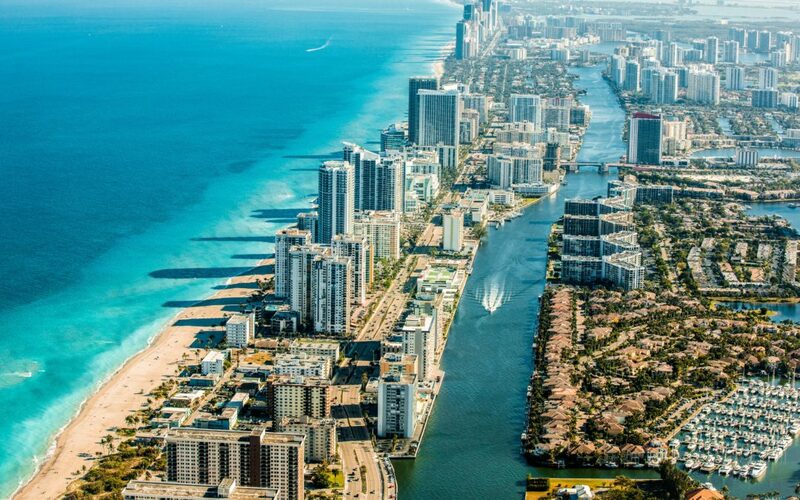 This winter is sure to be a chilly one, meaning, unless you like staying indoors for months at a time, a jet charter to Miami might just be what the doctor orders to get you over those winter blues. We at Vault Aviation love certain aspects of winter, but even we must admit that some December days are better avoided than lived in. This is the exact reason why we decided to share our three favorite reasons to snow-bird our way to Miami this winter. And what better way to travel, than in style, so go ahead and check out a jet charter to Miami this winter – Santa said you deserve it. As if the rest of the country’s temperatures aren’t reason enough (average temperature in Miami in December is 75!) here are three more reasons why Miami is the place to be this holiday season. And though Thanksgiving isn’t necessarily synonymous with December’s chilly weather, we’ll let it slide and help you find your way to Miami a little early this year – that’s something we can all be thankful for. A jet charter to Miami is actually good for your health! At least, that’s what we believe at Vault Aviation, and we’re all in the peak of health. Vitamin D is necessary for healthy functioning, but if you live anywhere above the 37th parallel then from November to March you aren’t getting enough of it! This is because the sun doesn’t even get high enough for long enough to get you the base need of Vitamin D throughout the day. Now, of course, you could take a vitamin D supplement or hit the tanning salon, but let’s be honest, there is a better way and it sure is more fun. A private jet charter straight to Miami. Beat the sun at its own trickery and go where it’s sunny, warm and rich in vitamin D this winter. We guarantee you won’t regret it. Christmas is a time for presents and gifts, but no one ever said they have to fit under a Christmas tree. Give yourself the gift of luxury with a jet charter to Miami this winter, or, share the love with your friends and family and charter a jet for your group. Traveling with those you love and creating lasting memories is truly the best gift, and one that keeps on giving when you return with a great tan, healthy Vitamin D levels and the rejuvenation that a jet charter with Vault Aviation provides. New Year’s Eve seems to always be remembered as an evening which always turns out colder than expected, ruining plans or making them miserable. But what if the last day of the year didn’t have to be such a storm? What if it could be relaxing, warm, perfect. Wouldn’t that be a better way to start off a new year? Luckily, you have no reason to suffer through yet another cold New Year’s Eve, because instead, you could live it up on the beaches of Miami, enjoying as many of the festivities as you prefer. Watch from the balcony of your resort? Hit the streets and party? Have a nice dinner overlooking the ocean? Whatever your plans are, they can be made better when they take place in 75-degree bliss. So, go ahead, make some memories, take your vitamins and enjoy a private jet charter to Miami this winter. Call Vault Aviation for your next private jet charter and Fly Like a Champion this winter. Get a free quote today or check out our blog for more information – updated weekly!